One of the NDDC’s founders, Bardwell Smith, is Professor Emeritus of Religion and Asian Studies at Carleton College. The organization has always had at least one board member from each of the colleges. In addition, the NDDC has conducted annual outreach campaigns during major college events such as New Student Week, Family Weekend, Commencement Weekend, Reunion Weekend, and Homecoming Weekend. Each year, the college presidents have been the NDDC’s guests at a Downtown Forum. Finally, the organization has led or participated in many community projects that were powered by Carleton and/or St. Olaf College students. The NDDC’s relationship with Carleton and St. Olaf has not been solely focused on marketing the downtown to the college communities. The organization has looked to the colleges for ideas and leadership, as well as time, talent, and “tithes”. 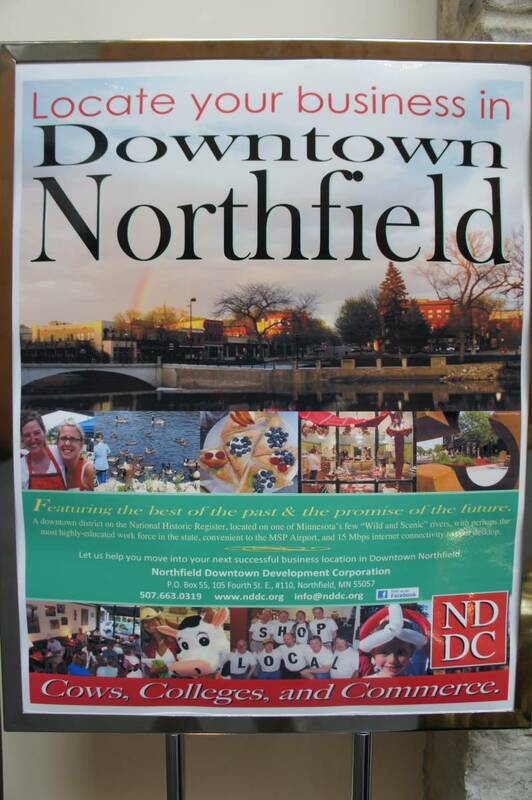 Increasingly, the NDDC has sought input from the colleges’ employees and students for clues in predicting and building downtown Northfield’s economic future. The writers of Northfield’s 2006 Comprehensive Economic Development Plan confirmed the NDDC’s long-standing strategy. Among the tactics cited in the plan were engaging the leadership of the colleges, connecting with current and former students, and reaching out to alumni entrepreneurs. The NDDC has always been and will continue to be a leader within the local economic development community for these initiatives of college-community collaboration. About two years ago, at the suggestion of St. Olaf College President David Anderson, and later with the added support of Carleton College President Steve Poskanzer, the NDDC began meeting regularly with key players at the colleges. The goal was to broaden and deepen college-community collaborations for mutual benefit. It was just the “beta test” for a new tactic in this larger strategy. Already, there are proposed changes to both the message and method. However, we got it out there, as evidenced by this photo.